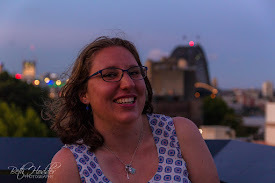 Another week another Friday Favourites, I meant to get this out last Friday but life got in the way and I somehow got roped into baking for the youth group and joining them for croquet (yes you read that right!). So my day just got swept away from me and by the time I remembered I needed to finish this post it was Saturday so I figured I would just wait a week. Osiris Envy glasses - a couple of weeks ago my glasses came! I am loving them so much, but I am finding it hard to wear them most of the time. I have always just worn them for computer work, but with these I can wear them all the time if I want/need and while I do notice a huge difference when wearing them it just takes effort. I live in sunglasses when I am outside (my eyes are super sensitive to light) so it just takes a bit extra to switch them over and remember to do it. They are also bifocal (so along with not being covered by insurance) which means that they are taking that much more time to get used too. 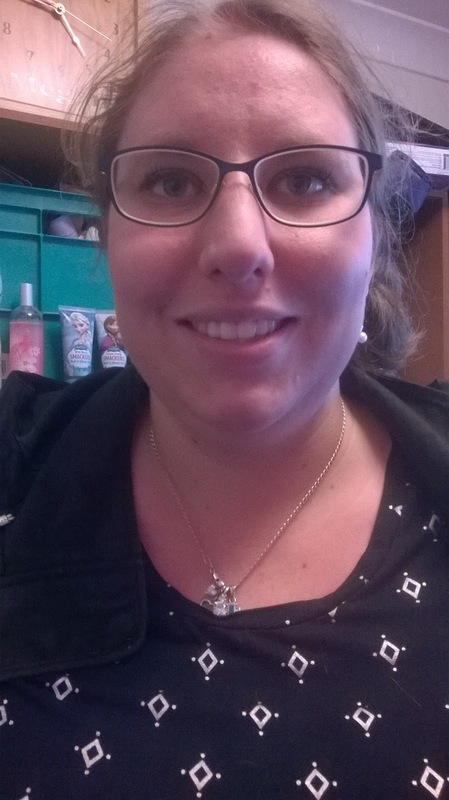 I love the frames and have gotten loads of compliments on them by friends and family, I think the dark blue brings out my eyes and the shape really works with my face too. 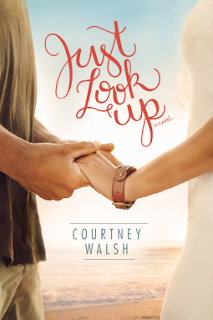 Just Look Up by Courtney Walsh - I really enjoyed this book and found it a great read. Once I started I could not put it down. Ryan and Lane are great individual characters and I loved reading about them both alone and together as they restarted their friendship together. I really related to Lane with how she saw herself and it was great to see Ryan break down the walls she had put up. Ryan is struggling to break free of his past, but he can't let go of it no matter how much he tries as he is such a caring guy. I loved reading about his relationship with his sister and nephew and you could tell that he didn't want his father or his messy upbringing to define him. Both Ryan and Lane don't have perfect pasts which adds another layer to the story and the more you read it the more you love them and want them to follow their hearts. It did not go in the direction that I thought it would and the story had so much depth to it. If you are after a new read to help get you through Winter, Just Look Up is it you will be surprised with how much you enjoy it and just how big an imprint it will leave on your life well after you've finished reading it. Just Look Up is out on the 4th of July and its a must add to book to your 'to read' piles. Despicable Me 3 - last Tuesday I had no energy so I thought I would to the movies because why not? I really enjoy going the movies alone as there's no preassure to talk to anyone, you can pick the movie you want to see and no one will judge you for eating a whole pack of M&Ms. I have enjoyed all the Despicable Me movies so it was a natural choice to see Despicable Me 3. I really liked the film and it was funny, fast paced and just a feel good movie in general. I loved seeing Gru, Lucy and the girls return and the minions were a scene stealer too (I will say you do not want to mess with the minions in jail as while they look cute and innocent they can be evil/terrifying in their own right!). I also found the music was really well put together and made the film. If you are after a fun movie and loved the first 2 films Despicable Me 3 is must see. Scunci braided elastics for thick hair - my hair is thick and fine so when I want to wear it up I have 2 options 1) use 3 elastics to hold it up which takes forever to do and not may not give me a good result or 2) use one of these elastics. I go the latter and since discovering these guys years ago I refuse to use anything else. 1 elastic lasts for months and is really strong and can hold my hair with no problems. I have never come across any elastic that is even half as good and they look really cute and stylish too. Pitch Perfect 3 trailer - they're back and after loving the first 2 movies, I am looking forward to the 3rd (and final) instalment. The trailer looks like it should be a funny film and I can't wait to see more of Rebel Wilson's (Fat Amy) one liners!